Find your source of resilience, inner strength and peace after losing someone close to you, a relationship or a job. I wasn’t always on the personal growth path, which I have learned always includes emotional healing. It just struck me as rather squishy and illogical, and something ‘other’ people needed. I was one to know. I used to be an accountant. So, by training, things were logical. Everything added up. But, you know how you’re going along, living your life, and – BAM! – something big happens, and it blindsides you? No matter what you do, you can’t go back to the way things were. For me, everything changed when my mother died. She was young at the time – just sixty. I wasn’t ready, not that you are ever ready to lose a parent, but I wanted more time. My kids were young, and I had so many dreams and expectations of her seeing them grow up. It was the straw that broke the camel’s back for me. When my mom passed, all sorts of old repressed memories, feelings and unresolved grief welled up within me. I hit the proverbial wall emotionally, and that’s when my life really started to unravel. And those accumulated losses – because I didn’t have the skills or knowledge to resolve them as a kid or adult for that matter – manifested in very self-destructive behaviors and actions. These energy relieving behaviors worked in the short-term or, so I thought, but the long-term consequences were life altering. What happened in my life changed and improved my life but not until I did something constructive about it. Long story short, I made a decision: I am 100% responsible for my life. Does this mean you cause things to happen to you? Sometimes yes. But sometimes, things just happen. And it’s up to you to experience the pain and learn how to react to it in a healthy and healing kind of way, finding the gift in it and ultimately getting complete with it. Whatever “it” is. Because only that – and nothing else – will set you free. As for my story, once I realized that the time had come to let go of blaming other people for my life… it put me on a path of personal and spiritual growth. I started working with coaches and therapists. I went to nutritionists for my physical health issues. And little by little, I felt my way through the process of developing my inner strength, resilience, self esteem, self-worth, and better health. Something I continue to this day. We are always a continuous improvement project as far as I am concerned. I had to let go of a lot of garbage I had picked up along the way. I had to forgive myself and others for any perceived wrongs or hurts. I had to find my own answers for what worked for me. Healing is an intuitive process. It has its own timing. It has its own language. And, hey, it’s not always easy. It takes courage. But it’s the best gift you could ever give yourself. What’s your life saying to you? Many of my clients come to me when their lives – or their bodies — are crashing down around them. A health crisis. The loss of something – or someone – dear to them. A deep fatigue and loss of purpose. Together, we look at that, and through coaching and grief recovery their emotional health and lives improve. My story along with years of training and working with clients has given me the experience, passion and knowledge to support you in healing the pain of your story. 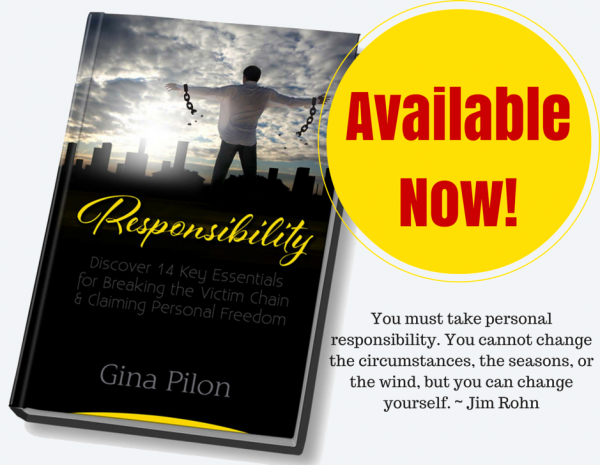 After reading this book and following it’s guidance you can expect to feel empowered, liberated, and self-confident, by embarking on a journey of personal responsibility and discovering 14 key essentials for living a life of freedom.